Click here for the Policy Forum Program. Entrepreneurs, new venture supporters, funders and governments worldwide want to create places that stimulate innovation and entrepreneurship that foster economic development and growth. The question is how? We know that entrepreneurial ecosystems such as that experienced in Silicon Valley work. We also know that not many (if any) places are like Silicon Valley. The ecosystems that support and sustain entrepreneurship in different places will each have a unique set of characteristics. So, in creating a successful entrepreneurial ecosystem finding the right unique set of characteristics is crucial. In this regard everybody has a responsibility. No matter where you are, the region you occupy will have a level of entrepreneurial activity which serves local needs and will have links with international markets. The Forum aims to raise and discuss issues concerning policy challenges and approaches to stimulate Entrepreneurial Ecosystems, using the local Adelaide movement as a case study. The forum will focus on how each contributor can help to address localised issues while gathering international perspectives on what others do. This is your chance to have a say in how your ecosystems are formed. Outstanding keynote academics, including Professors David Audretsch (USA), David Storey (UK) will feature, as well as our own local academic team Professor Göran Roos and Dr Allan O’Connor. 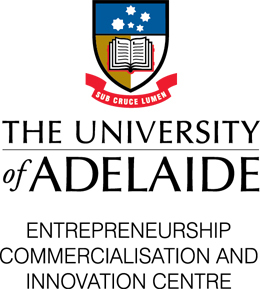 The Forum is timed to coincide with the 2015 Australian Centre for Entrepreneurship Research Exchange (ACERE) to be held at the University of Adelaide from 3 – 6 February 2015. This is an annual Australian research conference that attracts leading international scholars and provides a platform that allows attendees to share ideas about entrepreneurship and what makes it work. The timing of the Forum means that an international mix of world-class entrepreneurship scholars will also be participating and adding new perspectives to enhance our understanding of our unique entrepreneurial ecosystem. To register for the Policy Forum on Tuesday 3 February 2015 CLICK HERE. The Entrepreneurial Ecosystems and Regional Development: Bridging the Valley of Death and Capturing Value in Regions Policy Forum is supported by DIMTRE, Adelaide City Council and ECIC.